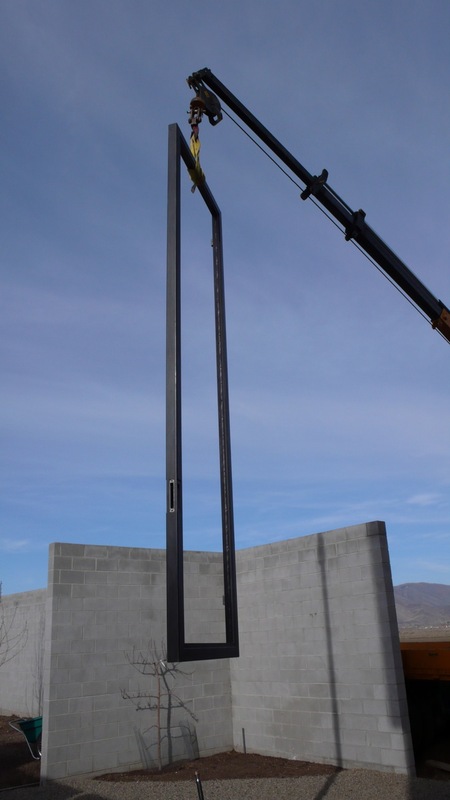 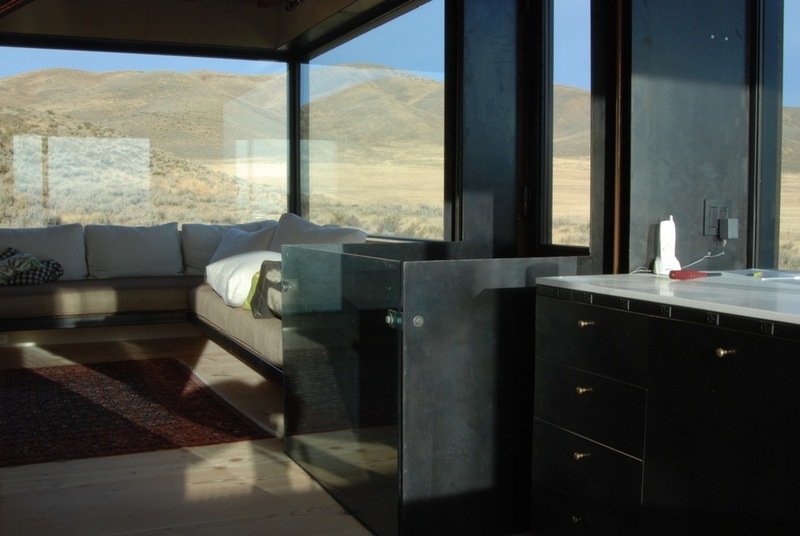 Outpost was a great opportunity to work directly with the owner and architect to design and fabricate many architectural blackened steel elements throughout the house. 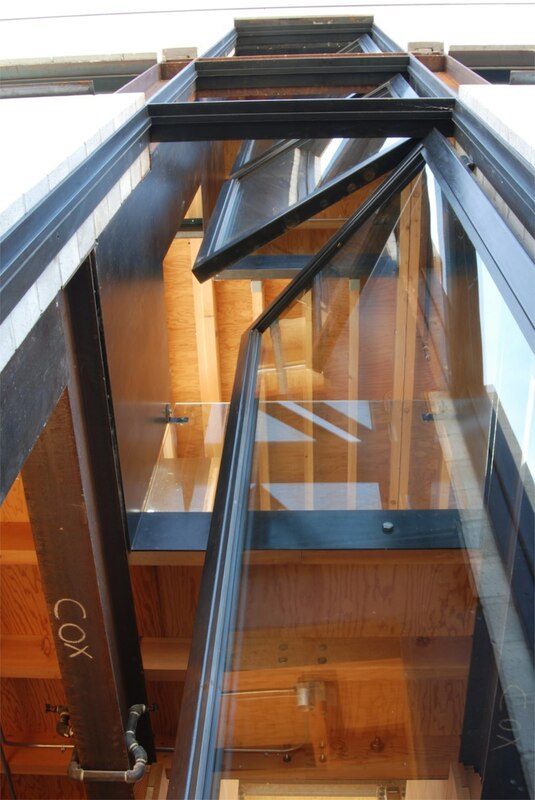 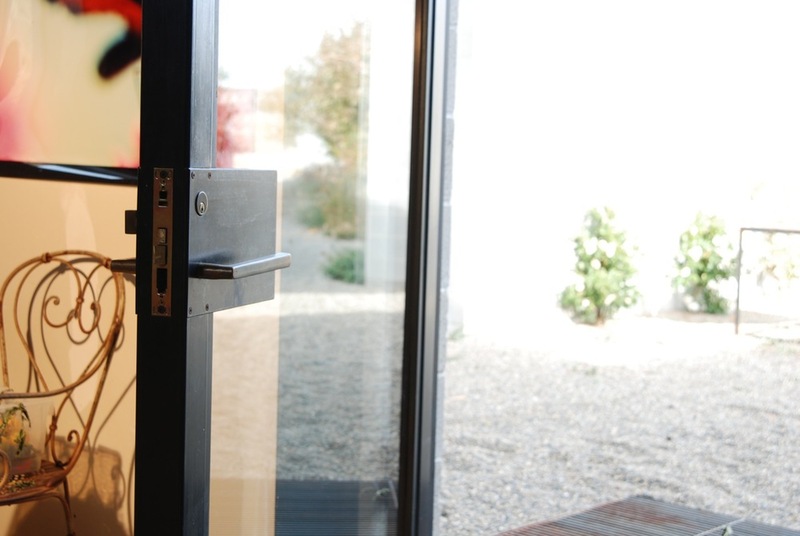 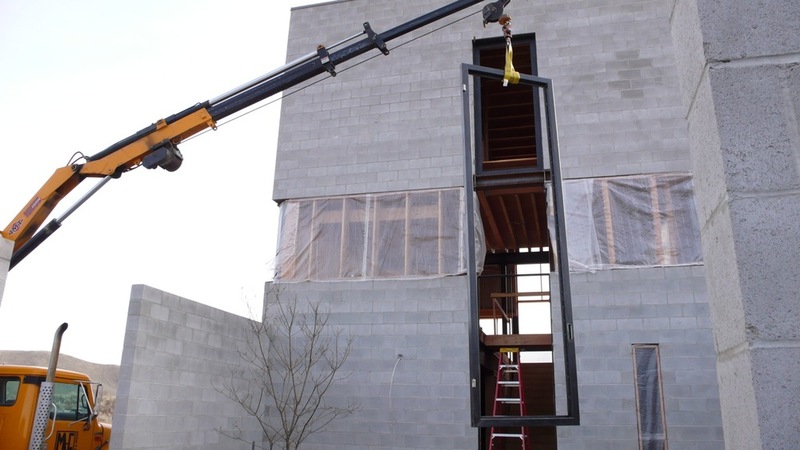 The entry features custom made hardware and three stacked doors reaching the full height of the building. 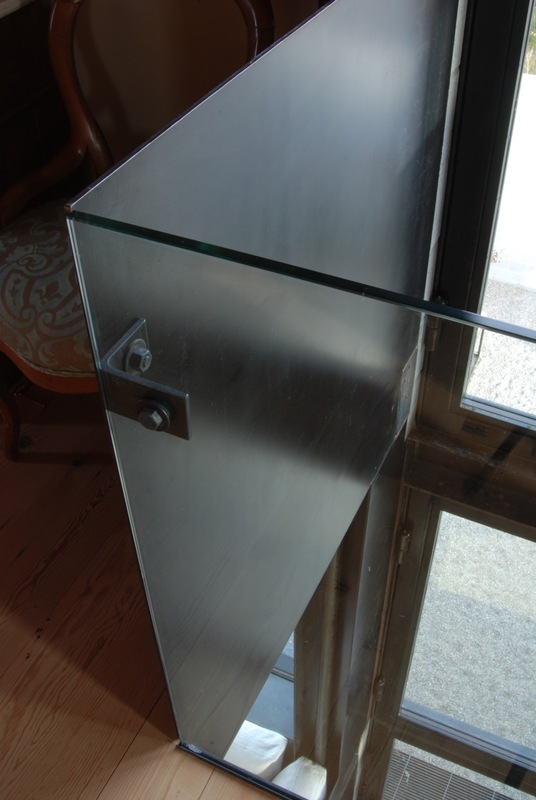 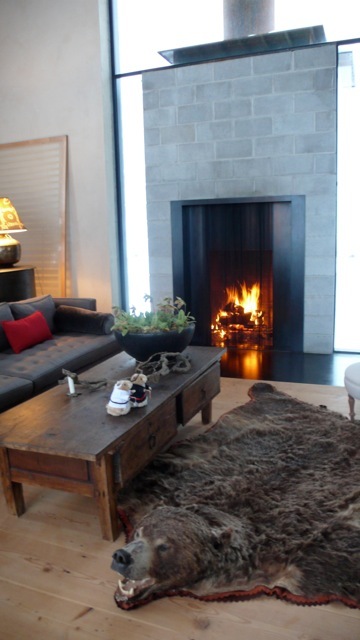 The fireplace has a guillotine panel that closes down the opening to help start fires when outdoor conditions would otherwise cause the fireplace to back-draft. 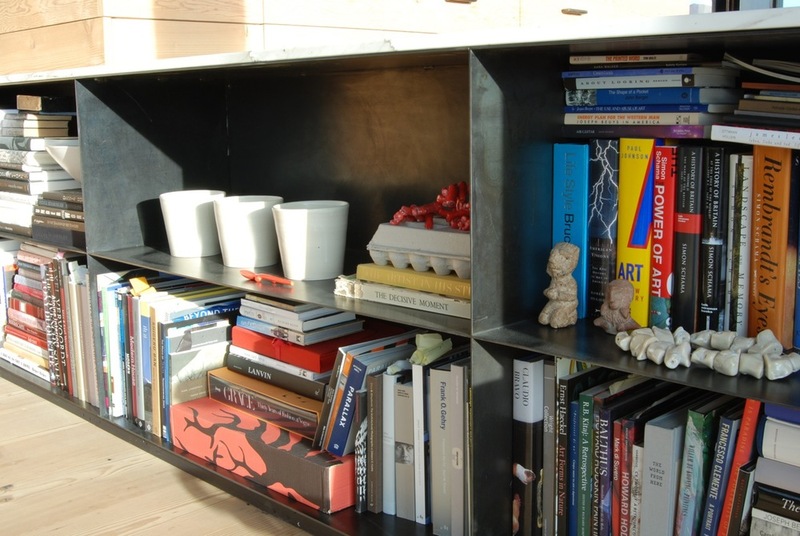 Steel shelves were design as CNC cut interlocking plates, to minimized the need for welding.